George Pearson Centre (GPC) is home to approximately 114 residents who live with a range of physical disabilities. Some residents have lived at Pearson all of their adult life. Some are relatively new residents. Many expect to live out their life in the facility. Some residents appreciate the security and resources available at Pearson and choose to live here. Some residents do not want to live at GPC. Many are compelled to live here because there are not enough disability supports like accessible affordable housing and home support to allow them to live in their own homes. Pearson residents are facing a huge change within the next decade. The majority of the Pearson-Dogwood site has been sold to developer Onni. VCH retains a small parcel of land. Redevelopment planning has been underway for several years and is ongoing. New types of accessible housing will be built, and the Pearson building will eventually be demolished. The residents, staff and services will be split up and reorganized. There will be gains, and there will be losses. GPC is unique in the City of Vancouver as it is situated on 19 acres of rolling hills with pathways, specimen trees, shrubs, accessible community gardens and a productive urban farm. Pearson services are also unique in the province because they include specialized support for people living with ventilators as well as on-site occupational and physiotherapy, and an accessible therapeutic warm pool also used by the wider community. 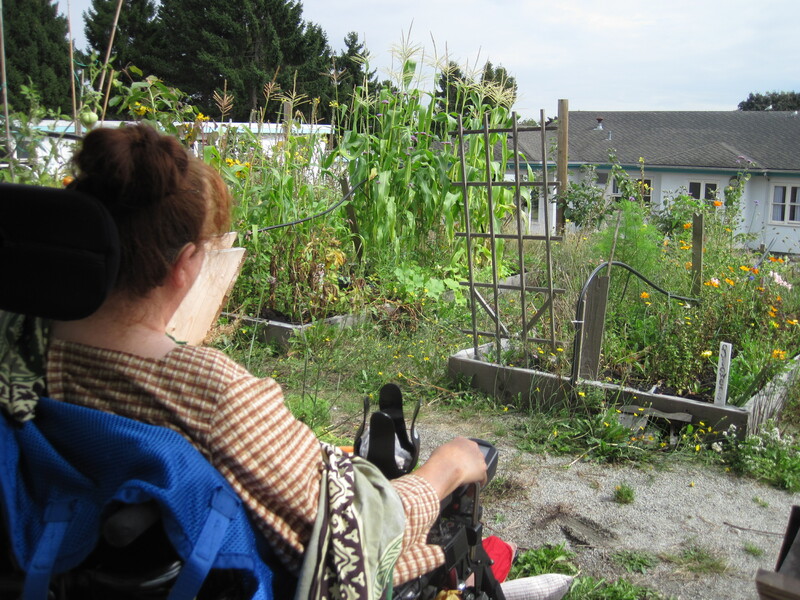 This website is an opportunity to look into the lives, hopes and dreams of George Pearson Centre residents. Residents also have a chance to look out at the world by connecting with the visitors to this site through emails and blogs. Please tour our site and learn more about our diverse community.